Cosmetic tattoos are all the rage right now. Who wants to spend hours a day putting on eyeliner and using an eyebrow pen to thicken those eyebrows when you could get a permanent fix instead? Well, one of the problems with a permanent fix is its permanence—especially when it comes to something like eyebrows. Did you know that eyebrow shape, color, and fullness are highly trend-based? Right now, thicker eyebrows are in style; a couple of years ago, however, it was the thinner, the better. The fluctuation of these eyebrow trends complicates the nature of the cosmetic tattoo. While they can be an excellent time saver while the trend lasts, once that trend shifts, you are stuck with eyebrows that are way out of touch. Or what happens when you decide to change your hair color—or when your hair naturally decides it’s time for a new shade? Eyebrow tattoo removal can help. 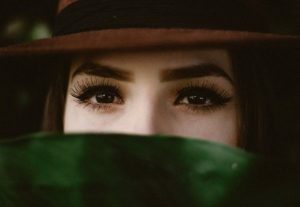 If your eyebrows have suddenly become passé or out-of-touch with the rest of your look, take a look at some eyebrow removal options so you can go on looking the way you want to look. Eyebrow tattoo removal does not have to be as invasive as it seems. Most people are aware of laser tattoo removal, which takes between five and ten sessions for a specialized laser technique to remove your tattoo for you. It’s one option, and it has been proven to be safe (provided it is done by a professional); however, laser tattoo removal isn’t always able to completely remove all colors from your tattoo. This depends on the type of ink used (cosmetic tattoos tend to use different, more natural ink than other tattoos), but it can be a problem for eyebrow tattoos since different colors are required to match your hair color. Fortunately, there are other forms of eyebrow tattoo removal available. Tattoo Vanish has been proven to be capable of removing all colors of cosmetic tattoos in fewer treatments (50-75% fewer treatments) at a much more affordable price. Plus, it’s all-natural and requires no surgical intervention. If you have sensitive skin and are concerned about causing reactions or damage to your skin through the eyebrow tattoo removal process, then Tattoo Vanish is the better option for you. It uses no toxins or acids, which means it’s an all-natural, safe, and effective means of giving you the best results. The eyebrow tattoo removal process begins with a local anaesthetic that numbs the skin. A gel is then worked onto the skin to help open it up before an ink eraser is applied. The ink eraser helps to draw the tattoo ink to the surface of the skin where it can be washed away. If you are looking for a more natural form of eyebrow tattoo removal that is just as, if not more, effective than laser procedures, then visit Tattoo Vanish today for more information on how to get started. The World's FIRST, All Natural, Tattoo Removal Procedure. Unlike other tattoo removal methods, Tattoo Vanish® is far less painful and expensive than LASER. While there are other non-LASER methods available, Tattoo Vanish® is the ONLY original ALL NATURAL (no acids, non-toxic) product and procedure available. Copyright © 2017 Tattoo Vanish®. All Rights Reserved.